Grammy® Award-winning band Ghost today announced a tour that will kick off on May 5, 2018 in Riverside, CA, and visit US cities throughout the Spring. 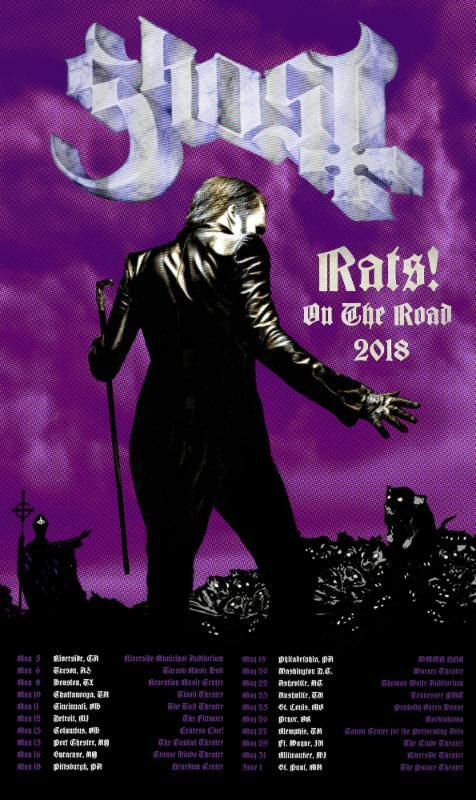 Tickets and VIP packages for the Rats On The Road Tour will go on sale on this Saturday, March 3rd at http://ghost-official.com/. Last December, Ghost release the live double-album Ceremony And Devotion, which was recorded during their critically exalted Popestar tour during the summer of 2017, and features fan favorites spanning the band’s entire catalogue from Opus Eponymous (2010) to Infestissumam (2013) to Meliora (2015) to the Popestar EP (2016). The album documents Ghost’s unforgettable live show in pursuit of becoming the world’s next great arena band. Ghost’s most recent studio album, Meliora, and its accompanying EP Popestar, elevated the Swedish rock band into the pantheon of the greatest rock bands on earth and resulted in a Grammy® Award for ‘Best Metal Performance’. 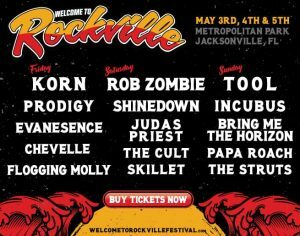 Meliora debuted at No. 1 at Independent Retail, No. 2 at Rock, and in the Top 10 on Billboard’s Top 200 Album Chart, selling over a quarter million copies globally. Popestar debuted at the No. 1 position on Billboard’s Top Rock Albums and Hard Rock Albums chart and produced an Active Rock chart topper with “Square Hammer”. Along the way Ghost have racked up both widespread critical acclaim and adoration from a legion of fans across the globe. Stay tuned for new music from Ghost to arrive later this year.